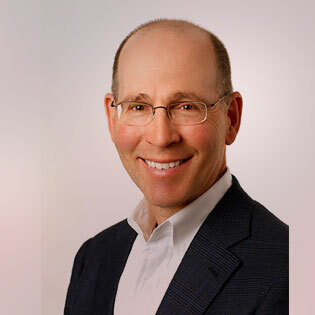 Todd Krasnow is an Operating Partner with Porchlight Equity Partners with 14 years of private equity experience after a successful career in business. He currently is involved in a variety of investments in consumer, consumer tech, and technology companies. Todd joined Porchlight after working in the same role with Highland Consumer Partners as the Marketing Domain Expert in 2007. Prior to that he was part of the founding team at Staples, Inc, where he helped build the company to $7 billion in revenues. He also helped to launch Carbonite, Inc (NASDAQ: CARB), and continues to serve on its board of directors. He serves on the Board of Directors of Tile Shop (NASDAQ: TTS), C&S Wholesale Grocers, Kids II, and Bakkavor, Ltd.
Todd lives in Newton, MA with his wife. His three adult children are all gainfully employed and following their passions. Todd is the chairman of the board of the Harvard-Smithsonian Astrophysical Observatory, base in Cambridge, MA, and he serves on the Entrepreneurship Advisory board at Harvard Business School.